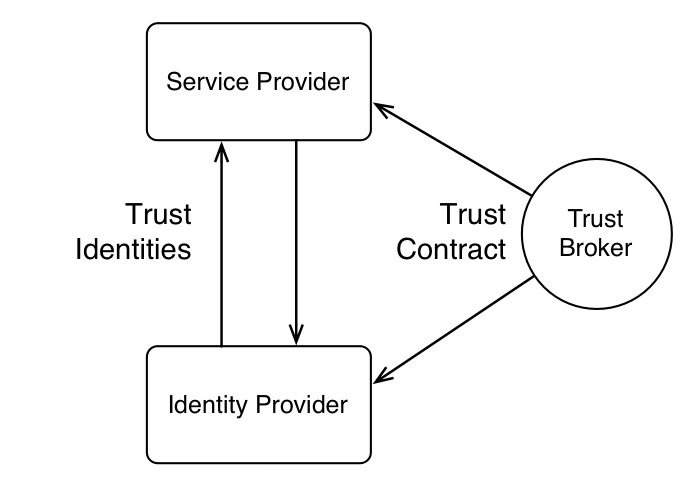 A transient federation agreement is a pre-negotiated (trusted metadata exchange) set of contracts (normally bilateral) which enable trusted pairs to recognise each other’s identities. The contract may specify user roles, governance, security and verification policies, or specific technical methods. The implementation may utilise a Trust Broker (possibly a 3rd party credential authority) for validating the relationship. Organisations with similar goals or structure create a standard agreement rather than negotiating individually. Suitable for when two trusted parties can agree a contract on roles, governance and security policies. Improved by a semantic pull model. Limited by transient federation requiring role definitions to be maintained.